Xtreme Motor Works is Dubai based Auto Workshop specialized in restoration, performance tuning, turbo upgrades, custom painting, detailing, and tinting etc. It all started as a hobby by it’s owner Mr. Khalid Al Moosa, it became and grew to a professional highly technical auto performance garage, engaged in so many workshop activities. We are one of the leading independently owned Auto performance workshop operated in Dubai since 2005, performing high quality and guaranteed services. 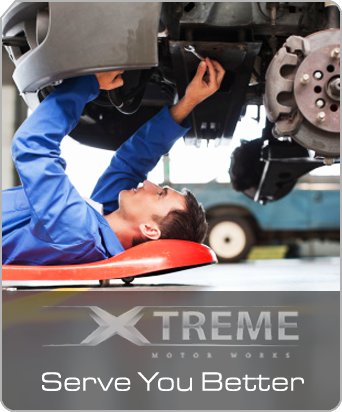 Xtreme Motor Works handles automotive service from General Maintenance and repairs to High Performance Upgrades. We pride ourselves on getting the services or repairs on your vehicle right the first time by our highly qualified service technicians. Xtreme Motors is a full-service auto repair and preventive maintenance center conveniently located in 8000 Sq Ft of area at Al Quoz Industrial Area-1, Dubai. We service and repair all imported and domestic cars & trucks. Bring in your Cars, SUV, or Pickup today with complete confidence that your vehicle will be serviced or repaired correctly the first time. We have the staff, skills, training, and equipment necessary to perform all required maintenance on your new vehicle while maintaining your warranty. Our certified technicians provide sophisticated, professional, and highly technical auto repair and maintenance services, using state-of-the-art computer diagnostic equipment.